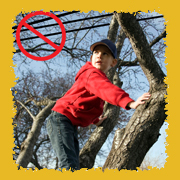 If you climb a tree near a power line and touch the power line, electricity will go through you and you can be hurt or killed. 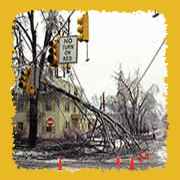 If a tree branch falls on a power line, it can cause a power outage. Electricity will go off in any homes or businesses served by the power line until the electric utility can remove the branch and fix the line. If a tree branch touches a high-voltage power line, electricity from the line can make the branch so hot it catches fire. From there, the fire can spread to nearby trees, plants, or buildings.